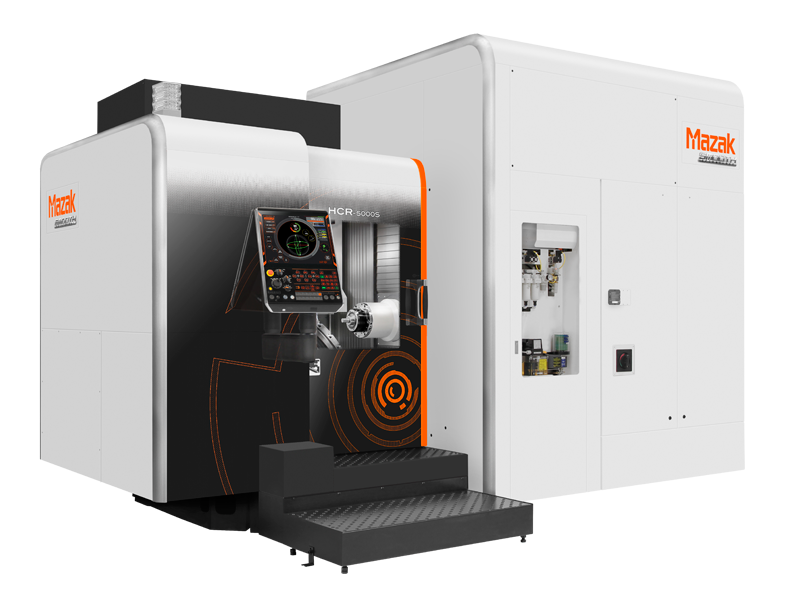 The HCR-5000S 5-axis, single-table (S) Horizontal Machining Center performs efficient, high-speed machining of small- and mid-sized aluminum components such as those commonly found in the aerospace and semi-conductor/high-tech industries. For extremely accurate performance, the machine features a solid base X-axis construction, high-rigidity bed and a tilt/rotary table where both the A and C axes use a roller gear cam system for positioning to increments of 0.0001-degrees. The HCR-5000S efficiently evacuates large amounts of machined chips to ensure excellent surface finishes and prevent downtime. With several high-speed spindle options, the HCR-5000S tackles any productivity and workpiece geometry requirements. Plus, several automation options, including fast automatic tool changers and pallet changing options, minimize non-cut times to further improve productivity.